I would have thought former Speaker Newt Gingrich had too much baggage to get the nomination, but he continues to show surprising electoral strength in polling and has so for several weeks. One thing that is different from Gingrich is that most of the former Speaker issues have previously been reported. Once something is considered "old news" it has less impact than when the news is fresh like it was with Herman Cain. 10/22/1991 – Voted for an amendment that would create a National Police Corps. 03/1993 – Voted for sending $1.6 Billion in foreign aid to Russia. 11/19/1993 – Voted for the NAFTA Implementation Act. 11/27/1994 – Supported the GATT Treaty giving sovereignty to the U.N.
08/27/1995 – Suggested that drug smuggling should carry a death sentence. 04/10/1995 – Supported Federal taxdollars being spent on abortions. 02/15/2007 – Supported Bush’s proposal for mandatory carbon caps. 09/28/2008 – Stated if he were in office, he would have voted for the $700B TARP bailout. 12/08/2008 – Paid $300,000 by Freddie Mac to halt Congress from bringing necessary reform. 03/31/2009 – States we should have Singapore-style drug tests for Americans. 07/30/2010 – States that Iraq was just step one in defeating the “Axis of Evil”. 12/05/2010 – Stated that a website owner should be considered an enemy combatant, hunted down and executed, for publishing leaked government memos. 01/30/2011 – Lobbied for ethanol subsidies. 01/30/2011 – Suggested that flex-fuel vehicles be mandated for Americans. 02/13/2011 – Criticized Obama for sending less U.S. taxdollars to Egypt. 03/09/2011 – Blames his infidelity to multiple wives on his passion for the country. 03/15/2011 – Stated that NAFTA worked because it created jobs in Mexico. 03/23/2011 – Completely flip-flopped on Libyan intervention in 16 days. 03/25/2011 – Plans to sign as many as 200 executive orders on his first day as president. 04/25/2011 – Became paid lobbyist for Federal ethanol subsidies. 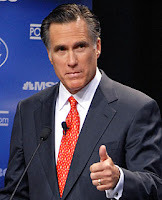 05/12/2011 – More supportive of individual health-care mandates than Mitt Romney. 06/09/2011 – Campaign staff resigned en masse. 07/15/2011 – Poorly managed campaign is over $1 Million in debt. 08/01/2011 – Hired a company to create fake Twitter accounts to make fake followers. I really like Gingrich's position on NAFTA. He's exactly right. On the other issues, I think you have a point. He has a tendency to talk without thinking first. He attends Bohemian Grove's bizarre rituals in the summers, he goes to the Bilderberg Group's conferences, and he is a card carrying CFR member. He's part of the solution to advance global government which works to undermine the U.S. Constitution. Those guys hate the Constitution. Bush once called it a god-damned piece of paper! It is awful to know that such a terribly high number of Republicans want such a disgusting dishonorable person to be the president. P.S. I hope that you are happy with your busy law practice, Paul, and I wish you and yours much success.